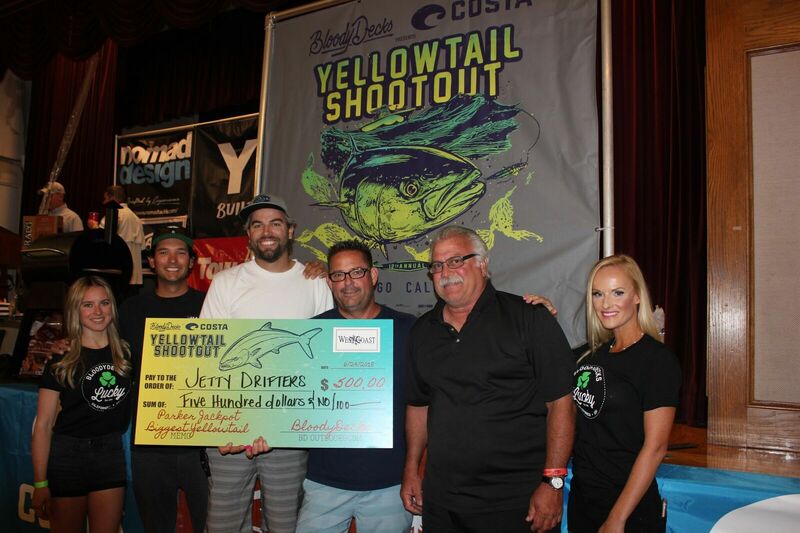 The successful completion of the 2018 Yellowtail Shootout presented by Costa Del Mar was one for the record books. Despite the nagging south wind and a lot of salt spray, a record number of tournament teams enjoyed good fishing with lots of 7 to 10-pound yellowtail, a good handful in the teens and low twenties and the winning fish crept into the 30-pound range. 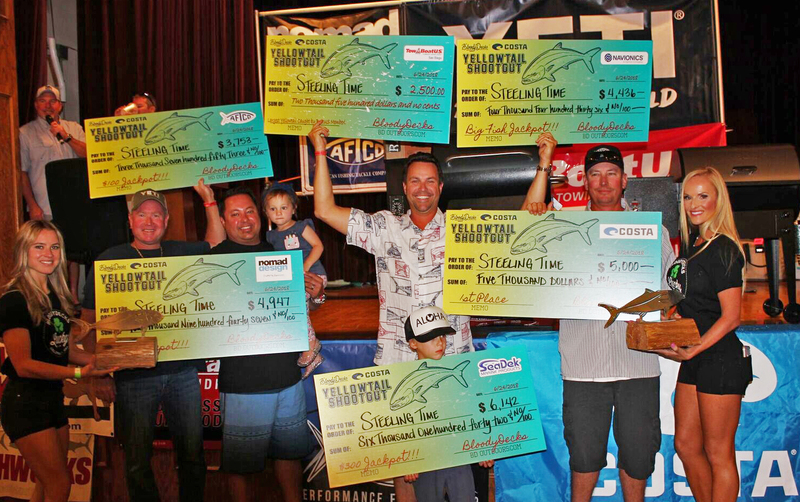 Here are the Yellowtail Shootout 2018 results. BD gives thanks to our great sponsors and volunteers who made the tournament great for everyone! We also are greatful to our Gold Level sponsors, many returning, who make the event a success for everyone: Yeti, Traeger Grills, Raymarine, AFTCO, Navionics, Nomad Designs, BoatUS, SeaDek, TowBoatUS San Diego and Big Bay Yachts. 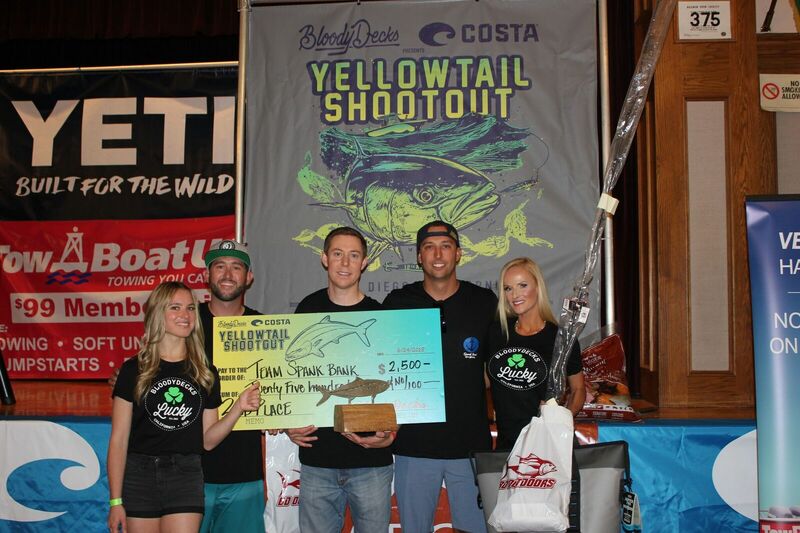 We also appreciate BoatUS for their two $2,500 jackpots and West Coast Marine for the $500 dollar prize to the largest yellowtail caught on a Parker Boat. The incredible BBQ was provided by the crew with Traeger. 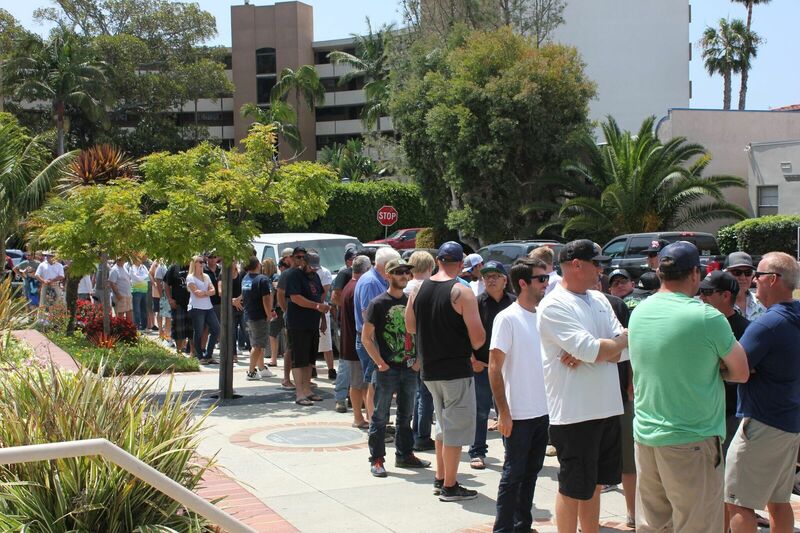 Ballast Point and Budwieser donated all the beer and the proceeds raised went to support the CCA CAL. More thanks goes to all of our sponsors who play an important role in the YTSO: . Hotel Buena Vista, Dana Landing, Mustad, Catalina Offshore Products, Everingham Bros. Bait Barge, ABT Trailers, Sauerfish Charters, Saltydawg Custom Rods, Sportmen’s Seafoods, FishDope, Rainshadow Rods, Subsafe, Yo-Zuri, Harbor Island Fuel Dock, Get Some 1000, FishWorks, Avet, Squidco, Waterbar, Bub’s Dive Bar, Phenix Rods, JRI Custom Lures, Pit Bull Tackle, Small Boat Club and Accurate. We also want to thank our fishing teams and say congrats to the winners. 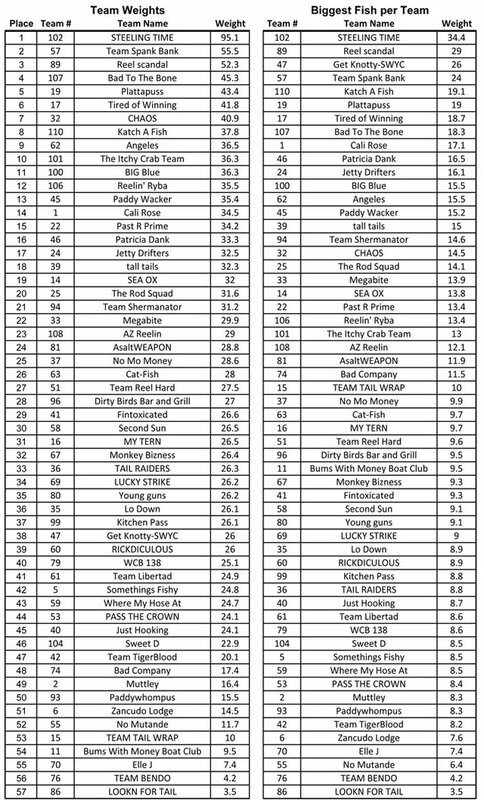 We set a new record of over 100 fishing teams competing for all the cash and prizes. The Mega Raffle made many more winners with incredible prizes from our sponsors. First Place, presented by Costa, went to Team #102, “Steeling Time“ with a bag weight of 95.1-pounds. 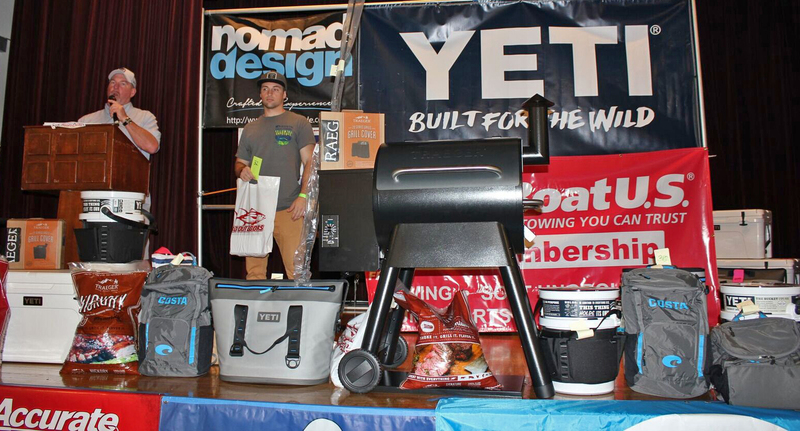 They won $5,000 and 4 pairs of Costa glasses with cases, a Costa backpack and Costa hats, a Yeti 75 Tundra, 4 Yeti Rambler 30’s and 4 Yeti hats, a Traeger 20 grill with grill cover and pellets, a Phenix Axis series rod, an Accurate Valiant BV-600, $100 AFTCO gift certificate, Brian Hebets artwork, an Avet MXL GR, Everingham Bros. bait certificate and a 1 year subscription to FishDope. 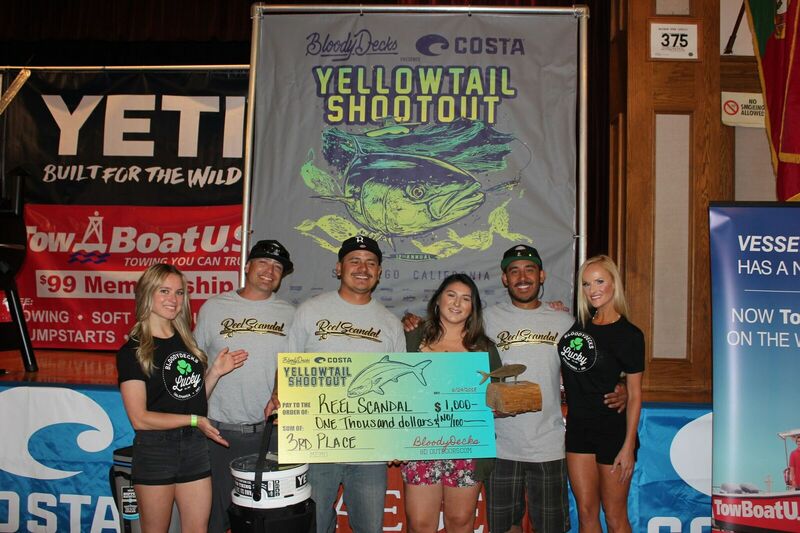 They were also TowBoatUS San Diego members and won an additional $2,500 for the largest yellowtail by a BoatUS Member. “Steeling Time” covered the board and won all the jackpots. $4,436 dollars for the biggest yellowtail jackpot, $3,753 dollars for the $100 jackpot, $4,947 dollars for the $200 jackpot and $6,142 dollars for the $300 jackpot. “Steeling Time” walked away with $26,778 dollars. 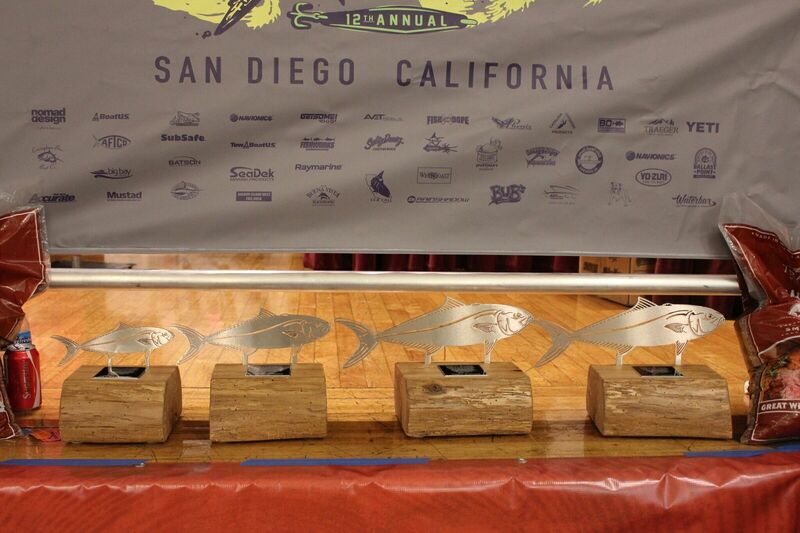 Second place, presented by TowBoatUS San Diego, went to Team #57, “Spank Bank” with a bag weight of 55.5-pounds. They won $2,500 and A Yeti Loadout bucket, A Yeti hopper two 30, 4 Yeti Rambler 30’s, $100 AFTCO gift certificate, Everingham Bros. bait certificate, 2 pairs of Costa glasses with cases, a Costa backpack, a Phenix M1 Inshore rod, $25 Catalina Offshore Products gift certificate, an Avet JX 6.0, Bloodydecks swag bag, $25 Squido gift certificate, a custom built Salty Dawg rod, BoatUS swag bag, Fishworks swag bag and a 1-year subscription to FishDope. 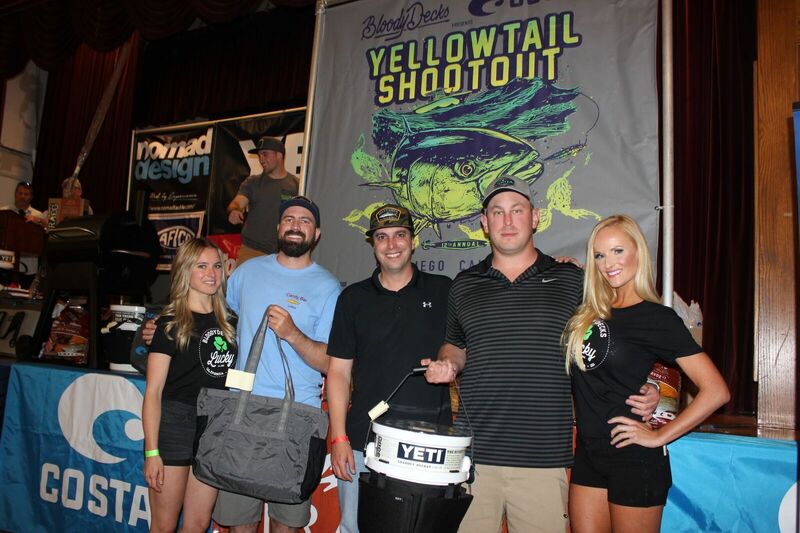 Taking third place, presented by Yeti, Team #89, “Reel Scandal” with a bag weight of 52.3-pounds. They took home $1,000 dollars and a Yeti Loadout bucket, 4 Yeti hats, 3 Yeti ramblers, a Yeti Backflip 24, a pair of Costa glasses with case and a Costa backpack, $25 Catalina Offshore Products gift certificate, $100 AFTCO gift certificate, Everingham Bros. bait certificate and a 1-year subscription to FishDope. Taking 4th was Team #107, “Bad To The Bone” with a bag weight of 45.3-pounds. 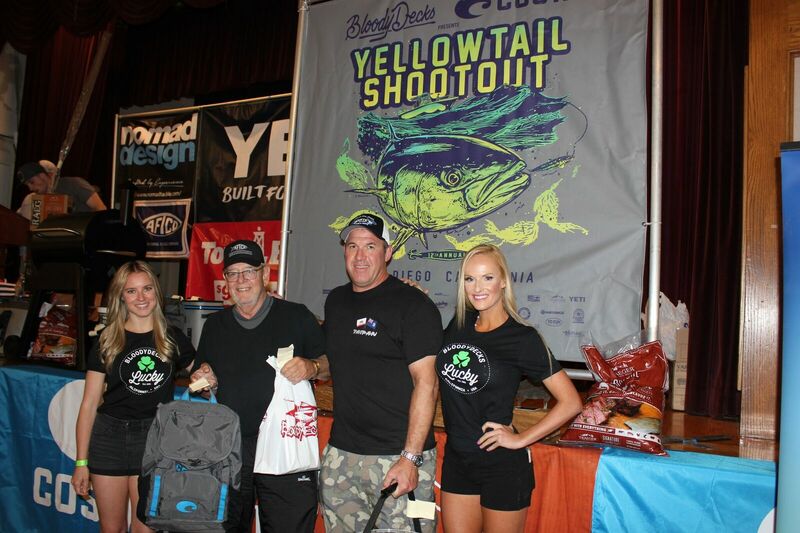 They won $750 and A Yeti Loadout bucket, a pair of Costa glasses, beach bag and backpack, Everingham Bros. bait certificate, $25 Squido gift certificate, Bloodydecks swag bag and a 1-year subscription to FishDope. Fifth Place went to Team #19, “Plattapuss” with a bag weight of 43.4-pounds. They won $500 and a Yeti Loadout bucket, pair of Costa glasses and beach bag, $25 Squido gift certificate and a Bloodydecks swag bag. The BoatUS Tuna Jackpot was taken by Team #49, “REEL E-ZE” who weighed an 80.0-pound bluefin to win the $2500 guaranteed prize. 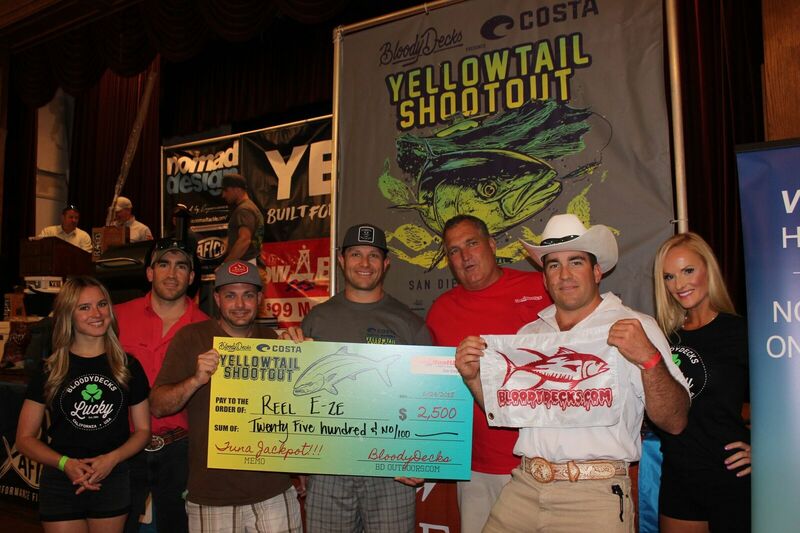 West Coast Marine offered $500 to the team catching the largest yellowtail caught from a Parker Boat. Team #24, “Jetty Drifters”, caught a 16.1-pound fish aboard their Parker to take the prize. A great time was had by all. 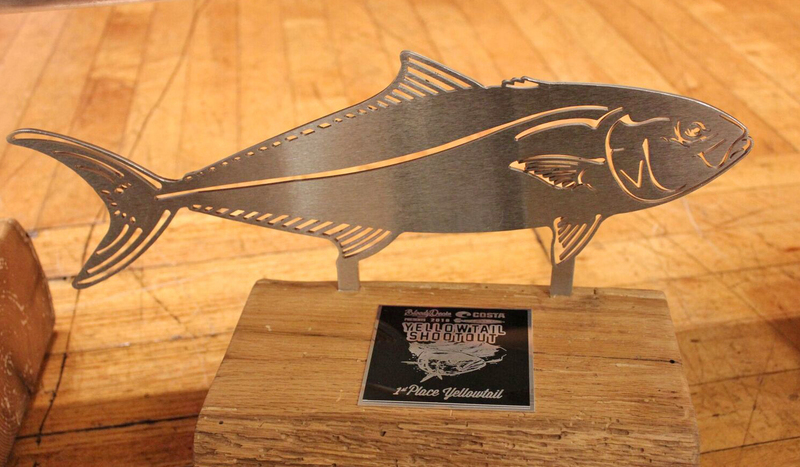 Thanks again to everyone who made it all possible, anglers, volunteers and sponsors! This year BD will also bring back the Offshore Shootout so check out the website to get more info!